As the name implies, the Quarter Wall cycle reflects that the Wall cycle tends to unfold in four cycles, or Quarter Wall cycles. The Quarter Wall cycle is a mini version of the long wave season. The ideal Quarter Wall cycle fluctuates in Fibonacci ratios in time relative to its ideal length of 35.475 days. This chart below demonstrates the four Quarter Wall cycles in a Wall cycle in the S&P 500 using 8-daily slow stochastics. The Wall cycle below ran from the low on October 10, 2002 until the low on March 12, 2003. The four quarter wall cycles are demonstrated below. Notice the run from under 20 to over 80 to under 20 in the slow stochastics. 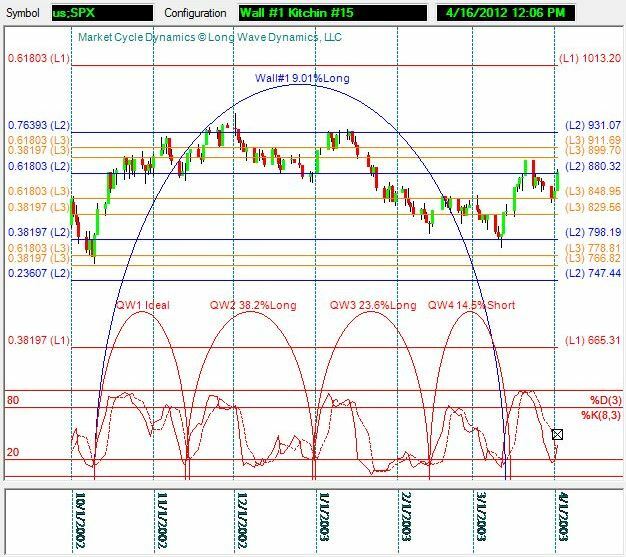 Tracking the Quarter Wall cycle can be of critical importance for traders. The Quarter Wall is the critical cycle for traders. 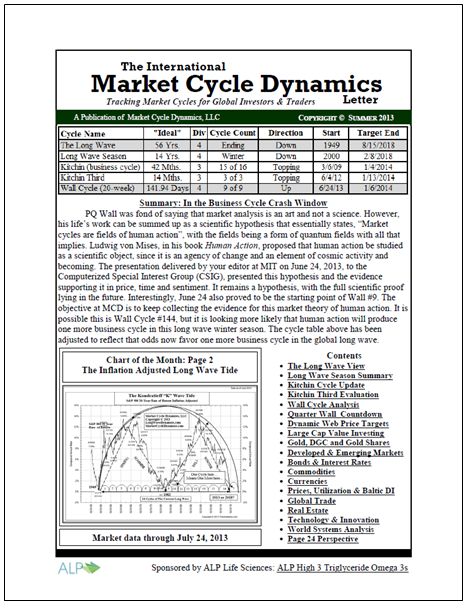 Subscribers to The International Long Wave Dynamics Letter have access to the Quarter Wall cycle forecasting tool on this web site. Just like the other cycles, the Quarter Wall will run short and long relative to the “ideal” in Fibonacci ratios in time. The forecasting power of the Quarter Wall forecasting tool is often startling.